Getting divorced in Arizona is fairly simple, especially if both of you agree that you need to go through with the marriage dissolution. Arizona is a no-fault state, which means you don’t have to prove one party or the other is responsible for the end of the marriage. This, however, doesn’t mean you should refrain from collecting certain types of evidence. Evidence can be quite helpful for the proper separation of marriage assets, proving that your spouse has wasted or attempted to hide some of the community property or during the child custody proceedings. 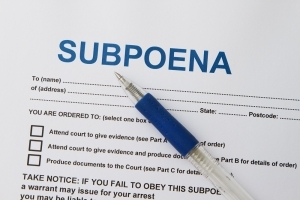 As per Arizona regulations, text messages and phone records are admissible evidence in divorce proceedings. If you have some threatening texts from your former spouse, you should definitely keep those. The content of the messages could be used in court to determine the best interest of a child and to finalize custody proceedings. Thus, it’s a good idea to refrain from sending your former spouse texts before and during the divorce proceedings. While you can do very little about earlier texts, the information you share with your former partner at a time of emotional vulnerability could be turned against you. Few people understand the fact that text messages and emails rank among the most commonly used types of evidence in divorce proceedings. A text message can demonstrate lie or manipulation on behalf of an ex. It could also be used to establish acts of domestic violence and harassment. Even if a message is sent in a moment of anger, the absence of context could lead the court to a conclusion that will have long-lived consequences for everyone involved. Text messages that have been sent to you can be revealed in court and used to prove a point during the divorce proceedings. Accessing your ex’s phone or computer records without their permission, however, is a violation of privacy. Any evidence that you come across this way will probably be excluded from the custody considerations or the other aspects of finalizing the divorce. In order to make such evidence admissible, you have to demonstrate to court that you were given the right to access the respective device and to extract information from it. If you had a family computer that you shared with your significant other, for example, chances are that unprotected files found on the device will be accepted in court. Finally, as the party introducing the text message evidence, you will need to demonstrate your ability to authenticate the origin of the text message. Put in simple terms, you’ll have to convince the court that an angry or harassing message has actually come from your former spouse. The easiest way to authenticate the text message is to have your ex admitting that they’d sent it. Self-authenticated texts are also possible – these are the messages featuring information that only the sender would know. Depending on the specifics of the divorce proceedings, you may have to prepare to have your phone and messages reviewed in court. The court will try to paint a complete picture. Hence, your response to an angry message or the text you sent before that will be considered important. If you texted your ex in anger, chances are that their angry messages will not be taken as seriously as you may want them to be. Text message evidence is often introduced in divorces that aren’t amicable. If you’re going through such marriage dissolution proceedings, you’ll need to get in touch with an experienced Arizona family law professional. Your divorce attorney will examine the specifics of the situation and give you a good idea about the best strategy to adopt. 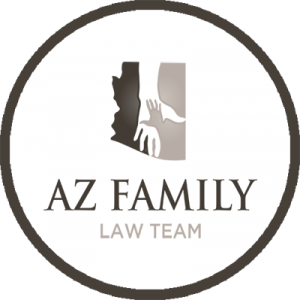 Click here for information on marijuana use and child custody battles in Arizona.